Although the Squadron had left LANGELEBEN, it was still obliged to man the setroom on a full 24-hour basis, with operators being bussed down from Celle to complete a 24-hour shift. The Squadron was a regular visitor to Langy, when it carried out deployments for training. In addition, other armies' units found the location ideal for their own deployments, including Americans (both from Germany and the US), Danes, Germans and French. Many friendships were sealed during and after these visits. 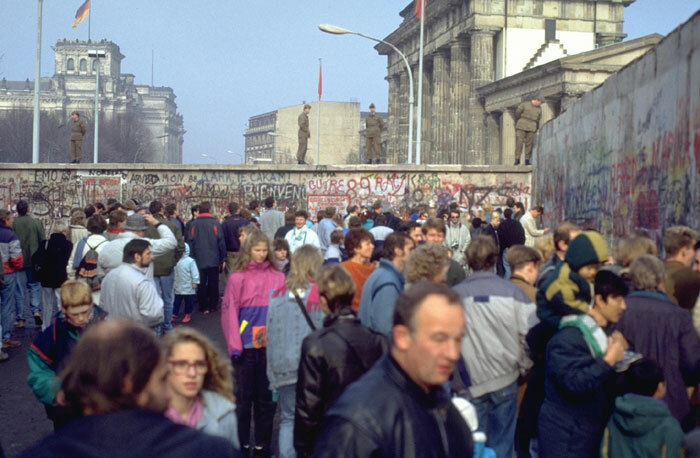 The beginning of the end of LANGELEBEN can be dated from 9 October 1989, when the Berlin Wall was breached and the Inner German Border opened. Those who lived through it will never forget the events of those Autumn days. Königslutter, being so close to the border was quickly swamped by droves of 'Trabbis'. Supermarkets were swiftly emptied of stocks, and the euphoria of the Reunification gradually evaporated as the town reeled under the weight of the mob of pushing, gawping strangers in their evil smelling puddle-jumpers. 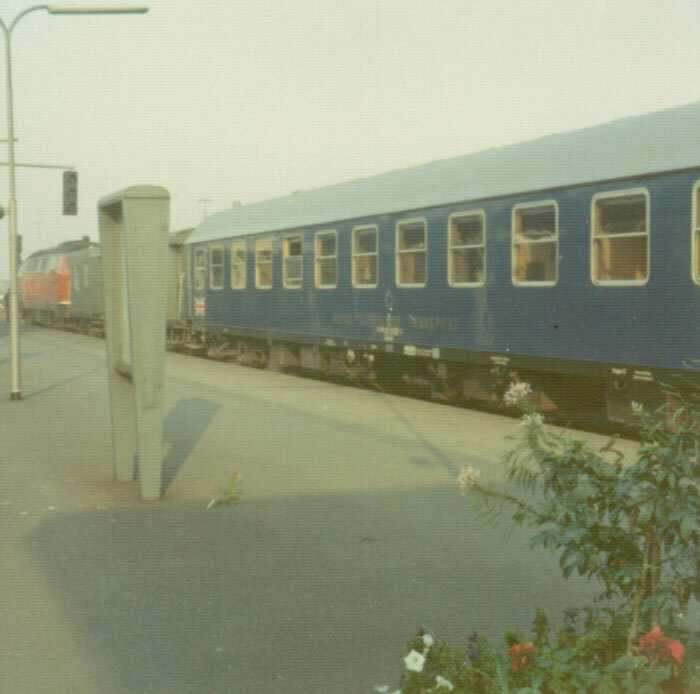 Another old Cold War veteran disappeared in early 1991 - the British Military Train, which had travelled daily between Braunschweig and Berlin since 1945. Under the terms of the Reunification Treaty, all Soviet troops were to be out of the former GDR by 1995. This was taken by the permanent staff at Langeleben as confirmation of what they had long suspected, that the closure of langy, at least in its present form, was imminent. Operations in the setroom were reduced to normal working hours, Monday to Friday. Throughout BAOR exercises had been reduced to a minimum following the reduction in tension in Europe. The British Government introduced a review of defence commitments called 'Options for Change'. Not surprisingly, daily operations were now a thing of the past, as the Soviet Forces in the former GDR continued their withdrawal apace. The Commanding Officer decreed that the camp be used by squadrons from Celle to carry out various types of training, jogging, orienteering, sports or even some trade training in the setroom, and the squadrons certainly availed themselves of Langy's facilities when they could. With the Options for Change decisions being put into effect, the axe finally fell in February 1992, when the closure date for Langeleben Camp was announced as 30 November 1992. A feeling of sadness was felt by all who had been connected with the camp and remembered the good times they had had there. This then, is the proud history of the camp at LANGELEBEN, which quietly and often ignored, made its not insignificant contribution to the maintenance of peace in Europe for over 41 years.